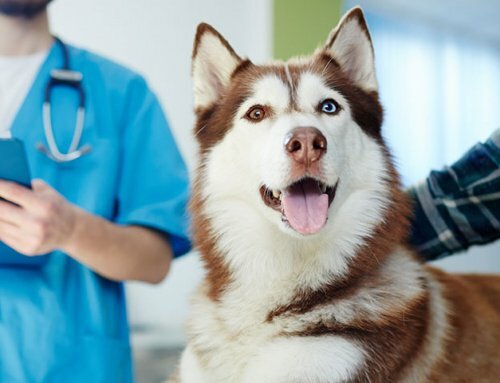 Last week’s newsletter was about the value of running a periodic urinalysis – not just for diabetics but for pets who are ill or as screening tests for senior pets. Clearly pet owners won’t be able to run the microscopic portion of a urinalysis, but there are urine dipsticks available that can be run in the home that may help you and your vet make decisions about your pet’s management. The most valuable bits of information on these dipsticks for diabetic pet owners are the glucose and the ketone tests, but many dipsticks have other information beside glucose and ketones. Glucose: Urine glucose used to be an important part of diabetic pet home management. You caught that, I said “used to be”. This kind of went by the wayside when home glucose monitors became so darned accurate and easy to use. Urine glucose testing gives us a general idea of what a pet’s blood glucose is over the span of time since the pet last urinated. If the urine glucose square on the dipstick comes up really high then clearly this indicates higher glucose in the urine which indicates higher glucose in the blood. If the square has little or no glucose showing then the glucose didn’t or barely exceeded the kidneys’ glucose threshold. Now comes the tricky bit: we don’t know exactly what the threshold is for dogs and cat for when glucose spills over into the urine at the level of the kidneys. We’ve got a range, but it may be different for individual pets. In general we find glucosuria when the blood glucose exceeds the mid 200’s in dogs and somewhere between the mid 200’s to 300-ish for cats. So then why can urine glucose testing be useful with all this guessing? Perhaps the most common indication is for a kitty who is going into diabetic remission! Say you feed low carb food, get your kitty to a proper body weight and fix other possible causes of insulin resistance. Checking blood glucose or urine glucose can clue you into the fact that you are nearing remission. If the urine glucose is low or often negative, you may be there! Or, if your cat is in already in remission you might periodically check urine or blood glucose to make sure diabetes hasn’t recurred. There used to be a nifty product called Glucotest which was a confetti of test material owners could put in cat litter to check for sugar in a cat’s pee, but it went off the market. I didn’t use it a lot, but it had its place. I miss it. Another time where urine glucose testing is helpful is when clients physically can’t (or won’t) check blood glucose. If a diabetic pet owner lacks the manual dexterity to use a lancet or glucose meter, urine glucose is physically easier. Or, some folks get queasy at the sight of blood, even the bitty amount needed for a glucose check. Finally, some diabetic pets might have a cantankerous demeanor that prevents their humans from checking blood glucose. No two situations are ever the same. Ketones: Ketones are the by-products of inappropriate metabolic pathways. We can diagnose ketoacidosis when a diabetic pet goes undiagnosed or if a regulated diabetic pet gets sick. If your pet has ketones in the urine you need to get your pet to the vet ASAP! Most of my regular readers are pretty savvy about diabetes and probably would have noticed their pet was feeling puny before finding ketones on a dipstick. Nonetheless, ketones are a sign of a “sick diabetic”. Ketoacidosis is a life threatening situation. If your pet is spilling ketones into the urine your vet will look for underlying disease that tilted the scale to unregulated diabetic. Blood: It doesn’t take a rocket scientist to know blood isn’t a good thing to find in urine. Blood may be from a urinary tract infection or just inflammation such as from the presence of urinary stones. Clearly if there is blood on a urine dipstick you should take your pet to the vet for an examination pronto. Your vet will undoubtedly run a complete urinalysis including microscopic evaluation of the urine. Specific gravity: Specific gravity is a measurement of concentration. Diabetics often have dilute urine because of the kidneys’ ability to retain fluid can be overwhelmed by the elevated blood sugars. Concentrated urine is one way of telling if the kidneys are working. White blood cells (aka leukocytes): This square of the urine dipstick is notoriously inaccurate for dogs and cats. If it comes up positive it may or may not be true. The best way to tell if there are white blood cells in a urine sample is to spin the urine in a centrifuge and examine it microscopically. That is part of a complete urinalysis at the veterinary clinic. pH: This is a measure of alkalinity or acidity. For some types of crystals and stones, we may adjust the diet to aim for a particular pH of the urine to prevent crystal formation. Or, sometimes in the face of an infection urine may be more alkaline. Bilirubin: This is a blood pigment that metabolized by the liver. If there is bilirubin in the urine it may indicate liver or gall bladder disease. If you find bilirubin on a urine dipstick, get your pet to your veterinarian. Protein: If there is protein in the urine it may be a reflection of kidney disease or it may be secondary to an infectious or inflammatory process elsewhere in the body. If there is blood in the urine those red bold cells might lyse in dilute urine and the urine dipstick might show protein. Evaluating the amount of protein in the urine should be done when there is no blood in the urine that might confuse us. You don’t need to know how to interpret all these chemical tests on a dipstick unless you go to medical school. Nonetheless, these are part of the urine analysis commonly run by your veterinarian. Additionally, I believe urine culture should be run at least once or twice a year for a diabetic pet.